Learning all about the many inherent risks of neck surgery should be the main priority of every preoperative patient, before agreeing to undergo any invasive intervention. There are no risk-free surgeries and most of the common procedures used to treat neck pain are actually fraught with considerable risk factors that have spoiled postoperative outcomes for millions of patients. Neck surgery is a diverse sector of care, with some procedures targeting the spine itself, while others are geared towards correcting soft tissue problems in the greater neck anatomy. This important guide helps patients to better comprehend that neck operations are intrinsically dangerous. We will examine many of the typical risk factors involved in the most popular forms of cervical surgery and provide advice on how to minimize these perils through proactive patient involvement. Many procedures do a tremendous amount of collateral damage to the spinal structures. Remember, in order to treat interior components of the spine, there must often be muscular dissection and injury purposefully perpetrated against the spinal vertebrae. Trauma to the integrity of the spinal structures adds extra risk to any procedure, both during and after the operation. The risk of unchecked bleeding during or after surgery is a common occurrence. Blood loss can cause permanent damage to the brain or nervous system. Sustained blood loss can also kill. Many spinal operations involve copious loss of blood as a normal part of surgical care. While doctors try to prepare for this occurrence, sometimes patients must still undergo emergency transfusions from donated sources. These blood transfers can expose patients to a plethora of serious diseases, including HIV. Cerebral spinal fluid leaks are commonplace for procedures that infiltrate the protective membranes surrounding the neurological tissues of the spine. CSF leaks are also almost as common in procedures that are not supposed to puncture these membranes, but do so, nevertheless. 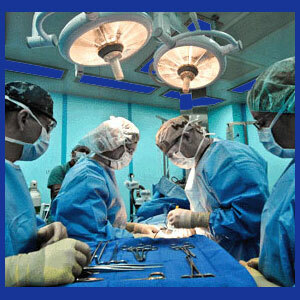 Patients might be exposed to infection, or other types of contaminants, during surgery. These scenarios can have dire consequences, including enacting major negative health concerns or causing death. Spinal nerve or spinal cord damage is frequently suffered by surgical patients. Since many procedures attempt treatment goals that are in direct contact with neurological tissues, or in close proximity to nerve structures, trauma and injury are commonly seen. Spinal nerve and cord injury is likely to be permanent and irreversible. Anesthesia can maim or kill. Many patients experience bad reactions to anesthetic and might suffer heart attack, stroke or other significant life-threatening event during surgery. Iatrogenic errors can cause or compound any of the above-listed risk factors. Doctors are far from perfect and the widespread occurrence of medical negligence explains why malpractice insurance premiums can literally bankrupt some physicians. If all went well during surgery, there are still many risk factors that might become problematic during the recuperation period or at any time after the patient has already recovered from surgery. Spinal degeneration will continue despite surgery and is likely to increase in the surgically-traumatized regions of the neck. Statistics clearly show that spinal surgery escalates many degenerative processes and particular forms of spinal operations, such as spondylodesis, can exponentially increase the rate of deterioration in spinal structures. Re-herniation is an epidemic problem with many postoperative cervical discectomy patients. Even when a pathological disc protrusion is successfully resolved, a great many discs re-herniate immediately, or eventually, bringing the patient right back to the beginning of the treatment process all over again. Scar tissue formation is virtually inherent to all forms of surgical treatment throughout the anatomy. However, when scars form on the spinal structures, the potential effects can be devastating. Many patients suffer reduced physical functionality, chronic pain and the utter frustration of being told that their scar tissue can not be successfully resolved. Hardware-related complications are a terribly common scenario for patients who undergo many varieties of spinal fusion and some disc-replacement recipients. Hardware failure and rejection can cause agonizing effects, including infection, acute intractable pain, neurological injury and death. Poor results are one of the most frequently seen consequences of all spinal surgeries. 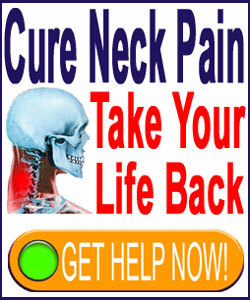 Failed neck surgery is a horrible end to an already nightmarish treatment process. Surgeries can fail to achieve their goals for many reasons and might be deemed unsuccessful even when the actual surgical endeavor achieved its structural objectives. Common explanations for failed spine surgery in the neck include misdiagnosis, iatrogenic negligence, poor postoperative care, insufficient postoperative rehabilitation or idiopathic reasons. Are the Risks of Neck Surgery Worth Taking the Chance? Neck surgery should never be a casual topic of conversation. So many patients write to us and explain that their doctor wants to perform a “minor procedure” on their spine. They are looking for advice as to whether this is a good idea or not. While surgical recommendations and contraindications are very case-specific, we can say for sure that any spinal procedure demonstrates serious risks and should never be downplayed as an insignificant undertaking. We can also add that most cervical spine surgeries are not needed, since there is no emergency and no indication that the procedure will resolve the neck pain complaint. In fact, most surgical recommendations come simply because a patient with chronic neck pain visits a surgeon who tells them that an operation should be performed. This is basic medical business in its purest form. Should it really be any surprise that a surgeon recommends surgery? Of course not. Doctors want to make money. If operations are what they do, then operate is what they will recommend. This is logical from even the most naive and optimistic viewpoint. Be absolutely sure of the validity of the diagnosis 100% before even talking about surgery or making any concrete plans. Be certain that the surgery has a good to excellent chance of successfully curing the symptoms, before considering any invasive treatment. If you surgeon is so confident that the diagnosis is sound and the prognosis is excellent, then have them put it in writing. Hold them to their professional opinion after the operation is over. Be sure to discuss all procedural options and try to undertake the least invasive variety of surgery possible. Get yourself in the best shape possible, prior to the operation. This includes being free from foreign substances in the body, being height/weight proportionate and being physically fit. Discuss any risk factors that relate to your general health, or specific health conditions that affect you, prior to undergoing any surgery. Some patients are lucky enough to traverse the hazardous path of cervical spinal surgical intervention successfully. It is sad that these patients represent the minority of cases we see, since complications are really quite typical. Become ever-more involved in your own healthcare and you can improve your chances of being successful in your own surgical endeavors. Best of luck and please let us know how your operation goes on our social media pages.